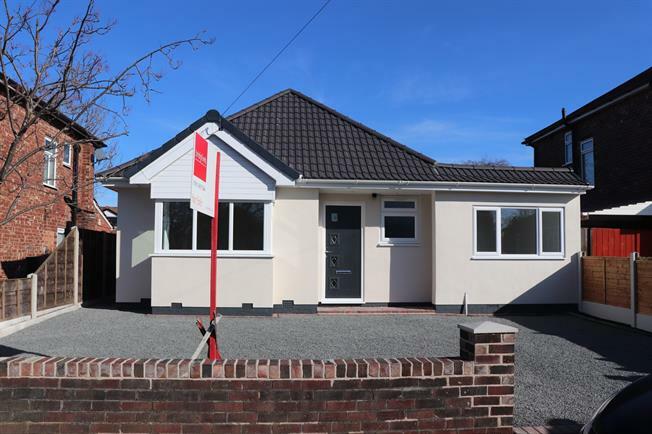 3 Bedroom Detached Bungalow For Sale in Stockport for Offers Over £290,000. Having been refurbished to a particularly impressive standard, this detached bungalow offers a fantastic living space. With versatile accommodation, currently set up as three good size bedrooms, a new shower room and a separate new four piece bathroom, a fantastic refitted kitchen open with living space and new appliances opening onto a generous garden. To the front there is a substantial front garden and driveway. Offered with no onward chain.